Publicat pe 17 august 2014	de Cristi M.
Colonia Ulpia Traiana Augusta Dacica Sarmizegetusa was the capital and the largest city of Roman Dacia, later named Ulpia Traiana Sarmizegetusa after the former Dacian capital, located some 40 km away. Built on the ground of a camp of the Fifth Macedonian Legion, the city was settled by veterans of the Dacian wars. From the very beginning it received the title of colonia and the status of ius Italicum. 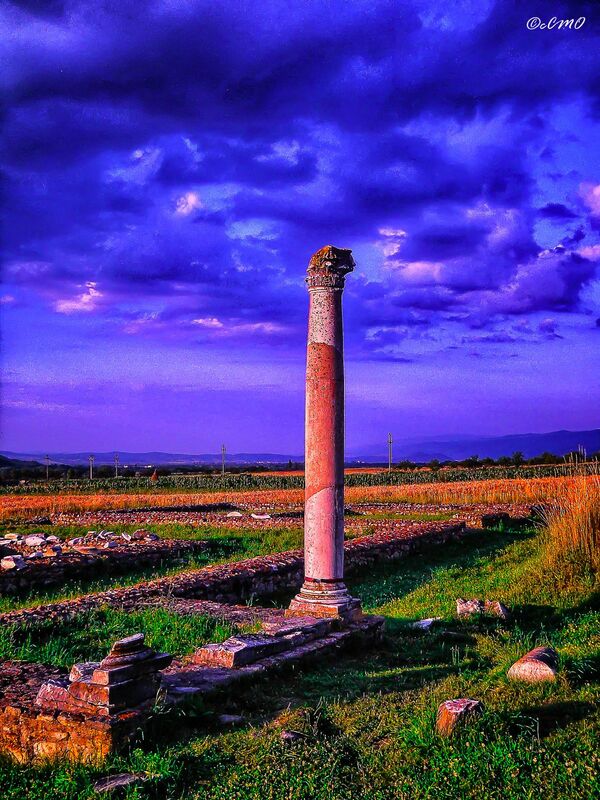 With an area of 30 hectares a population between 20,000 and 25,000, and strong fortifications, Ulpia Traiana was the political, administrative and religious centre of Roman Dacia in the 2nd and 3rd centuries.The city was destroyed by the Goths. Today Ulpia Traiana remains in ruins, with a partly preserved forum, an amphitheatre, and remnants of several temples. Acest articol a fost publicat în Photos / Quotes și etichetat Colonia Ulpia Traiana Augusta Dacica Sarmizegetusa, Dacia, romania, Sarmizegetusa, Sarmizegetusa Romania, Ulpia Traiana Sarmizegetusa. Pune un semn de carte cu legătura permanentă.